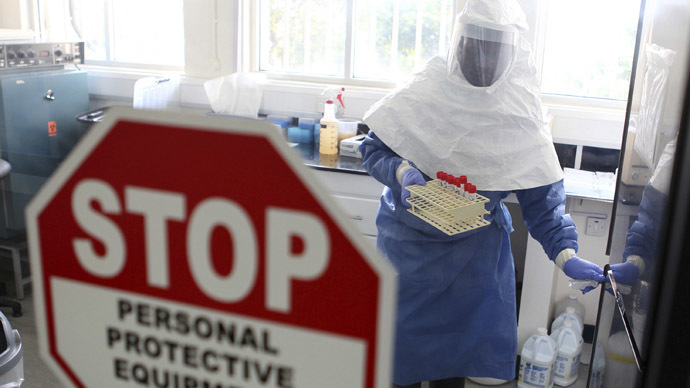 Liberia sent the US a plea for help amid its ongoing battle against Ebola, asking for sample doses of an experimental drug for infected Liberian doctors. Washington approved the request just as the region's death toll topped 1,000. WHO’s panel of medical experts has agreed that it is ethical to provide experimental treatments to patients infected with the deadly virus, AFP reported. “In the particular circumstances of this outbreak, and provided certain conditions are met, the panel reached a consensus that it is ethical to offer unproven interventions with as yet unknown efficacy and adverse effects, as potential treatment or prevention,” the WHO said in a statement. US company Mapp Biopharmaceutical, which produces the treatment, said it had sent all its supplies of the drug to west Africa, Reuters reported. 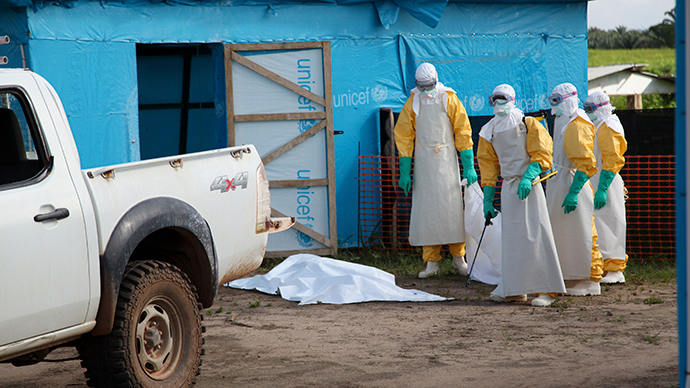 Meanwhile, the death toll from the worst ever outbreak of Ebola has reached 1,013, after another 52 people died over the last three days, the WHO has announced. 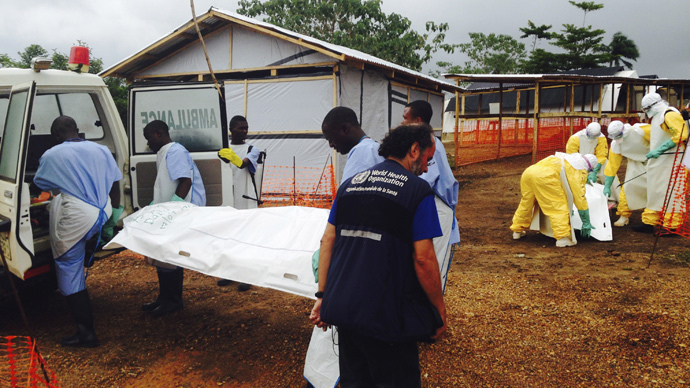 The largest number of reported new deaths were in Liberia, where 29 people died, followed by 17 in Sierra Leone and six in Guinea. The total number of cases has risen to 1,848. There are several experimental drugs in various stages of testing that pharmaceutical companies hope will be able to treat the deadly disease which currently has no cure, specific treatment or vaccine. Most of those options have not begun Phase I clinical trials ‒ the first tests on humans. “You have experimental products which have never even been used in humans, in healthy volunteers. And in addition, there is very, very little of it. So what do you do with it?” Dr. Marie-Paule Kieny, the WHO’s assistant director general for health systems and innovation, told The Canadian Press, describing the dilemmas the ethics panel will be asked to help the international agency work through. The Liberian government did not say which drug the “serum” referred to. On Friday, the FDA lifted its hold on one of those drugs being tested in the United States. The government gave Tekmira Pharmaceuticals verbal confirmation that they modified the full clinical hold the regulatory agency had placed on the company’s experimental TKM-Ebola drug, enabling the potential use on Ebola patients during the current outbreak, the company said in a statement. 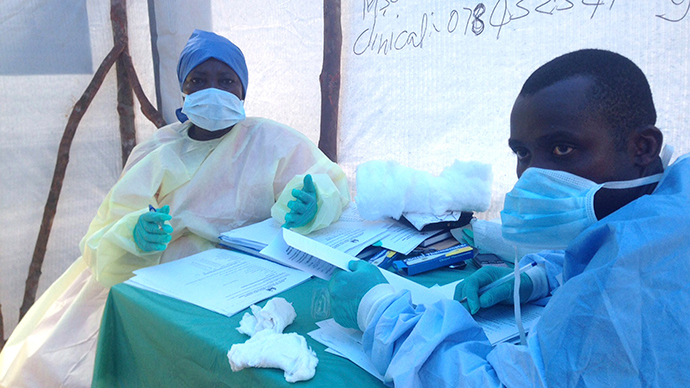 TKM-Ebola began Phase I trials in January. A different drug, ZMapp by Mapp Biopharmaceutical Inc., was used to treat two American aid workers who had contracted Ebola in Liberia.Previously only known as “a secret serum,” ZMapp has not been given the go-ahead to begin human trials yet, Forbes reported. 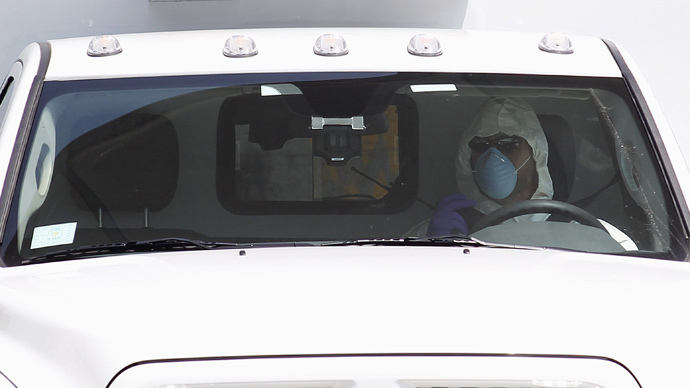 After receiving a dose of the serum, both Nancy Writebol and Dr. Kent Brantly were transferred to Atlanta’s Emory University Hospital, near the US Centers for Disease Control and Prevention. Brantly, 33, who is an employee of the international group Samaritan’s Purse, also received a blood transfusion from a 14-year-old Ebola survivor, who had been under his care before. The two American patients appear to be improving, officials have said. But the improvement may not be due to the serum, and its use on them only adds to the murkiness the WHO’s ethics panel must address. "The fact that two people are doing better doesn't mean they've found the cure," Arthur Caplan, head of the Division of Bioethics at New York University's Langone Medical Center, told the Courier-Journal. 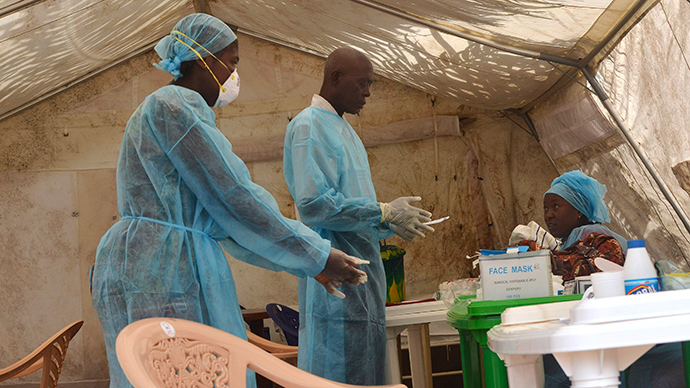 "Ebola is 50-60 percent fatal. It's not 100 percent fatal. So you could still wind up killing someone who otherwise wouldn't have died by giving them an experimental medication." A Spanish missionary also received the ZMapp serum, Spanish authorities announced Monday, according to the Associated Press. The use of the drug on Westerners and not on Africans may lead to “a larger, bitter truth,” AP stated. "There's no reason to try this medicine on sick white people and to ignore blacks," said Marcel Guilavogui, a pharmacist in Conakry, Guinea. "We understand that it's a drug that's being tested for the first time and that could have negative side effects. But we have to try it in blacks too." On Sunday, President Johnson Sirleaf admitted her government was slow in its initial response to the deadly Ebola outbreak, and apologized for the manner in which it confronted the outbreak at the early stages. She then said that Liberia has renewed its commitment to protect its healthcare workers, the government said in a statement. The president told health workers at a mass meeting in Monrovia that the government has brought in a large amount of personal protective equipment (PPEs), a major ‒ and scarce ‒ resource for protecting those people treating patients. 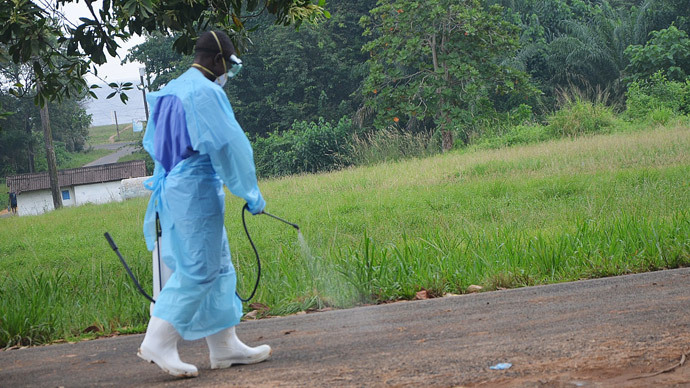 Three doctors and 32 health care workers in Liberia have died after contracting the disease, NBC News reported. 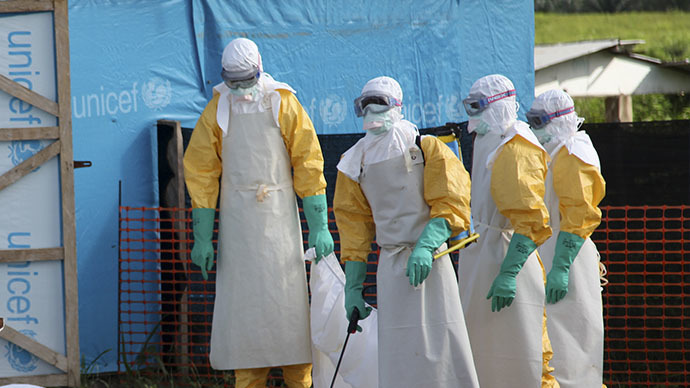 Johnson Sirleaf declared a state of emergency in her country on Wednesday to combat the ongoing outbreak of the deadly Ebola virus in West Africa, as Liberia began implementing quarantine checkpoints.